Sometimes it is necessary to back out electronic payments from your Frazer system for a variety of reasons. How this is done depends on the type of payment that was originally entered . Refunding the payment will communicate with the payment processing company and transfer the funds from your account back to the customer. Due to processing times this can take several days so be careful if you are planning on re-charging the customer immediately afterwards. Changing the customers balance is useful if you have already refunded the payment through your processors portal and only need to update your Frazer system, or if you are planning to re-apply the payment immediately. If the payment was a down payment you will need to cancel the sale back to a prospect before you will be able to refund the payment. 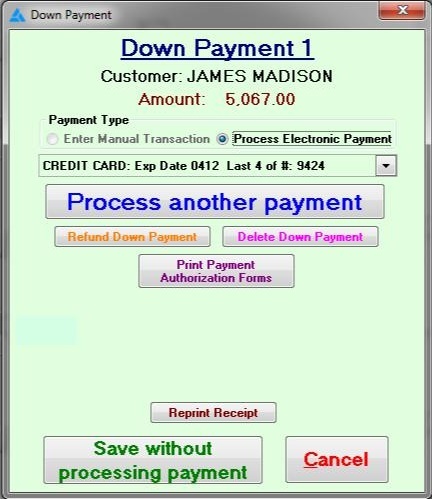 Once you have retrieved the prospect click on the payment method button next to the electronic downpayment. 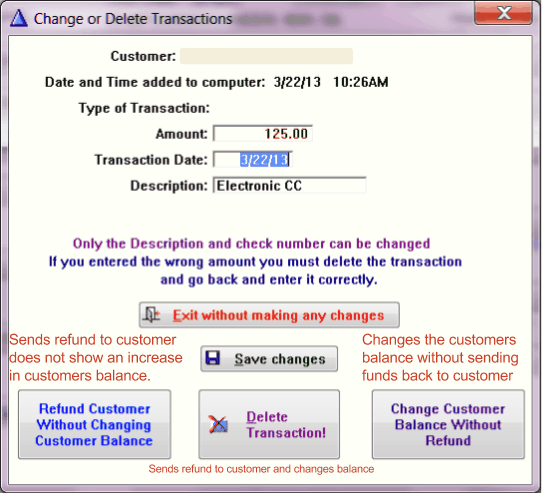 Similar to the other refund screen refund communicates with the payment processor while the delete button will only remove the record within Frazer.